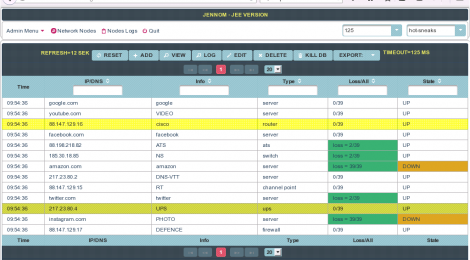 Browse: Home / JENNOM – Java Enterprise Network Nodes Monitoring. 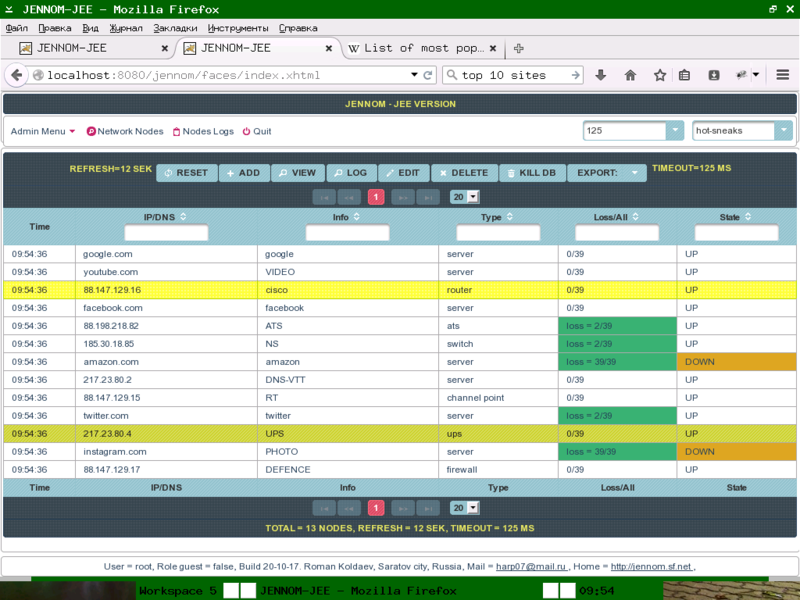 JENNOM – Java Enterprise Network Nodes Monitoring. Use standart OS ICMP packet-size – Linux=64 bytes, Windows=32 bytes. When any node change state, Jennom write message to local DB, send message to remote syslog-server and can send email for you. Only state changes will be fixed ! Support both IPv4 and IPv6. Successfully tested in Windows and Linux with Mozilla Firefox and Google Chrome browsers for more 200 nodes. Developed by JavaEE stack technologies: JSF + PrimeFaces, CDI, JPA, EJB, Security – Apache Shiro, and JavaEE certified server Apache TomEE v1.7.4. (jax-rs release). + Jennom use ICMP to check nodes, if it is unavailable, it tries to check with TCP/echo. + Support logging to local DB, remote syslog-server and can send email for you..
+ Only state changes are fixed. + Support both IPv4 and IPv6. 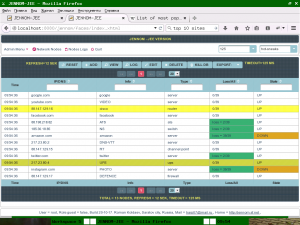 + Successfully tested in Windows and Linux with Mozilla Firefox and Google Chrome browsers for more 200 nodes. ← subjack is a Hostile Subdomain Takeover tool.